Health update: can diet make a difference? I need two hands to count the number of my friends and colleagues who learned in the past year or so they have breast cancer. I shouldn’t be surprised; after skin cancer, it’s the most common cancer women face. Even women with extensive health knowledge, who seem to get everything right, get cancer. We know there are some things we can’t control. We can’t change risk factors like our family history; scientists predict that just over one-quarter of breast-cancer risk is due to inherited factors. But it’s clear that eating well is part of doing everything you can to tip the odds in your favor. So what can we do (or not do) to lower our risk? For perspective, I checked in with colleagues who are experts in cancer and nutrition. Much of the research connecting breast-cancer prevention and diet is inconclusive, according to Laurence Kolonel, M.D., Ph.D., director of the epidemiology program at the Cancer Research Center of Hawaii and co-author of a forthcoming major review of diet and cancer. However, one of the areas where consensus is strongest is the role of alcoholic drinks. “Even as little as one drink a day increases breast-cancer risk,” he says. While we know consuming alcohol in moderation has benefits for the heart—and heart disease kills far more women than cancer does—you’ll need to weigh your decisions about drinking if you have other risk factors for breast cancer. Consider limiting yourself to one drink a day; more won’t provide additional heart benefits. If you have a family history of breast cancer, you may want to avoid alcohol altogether. A recent review article in the journal Cancer found that one of the most important ways to reduce risk of breast cancer is to avoid gaining weight. That means balancing a healthy diet with plenty of exercise. Research also suggests that if you’re overweight, losing those extra pounds before age 45 can reduce your risk of breast cancer after menopause. Even if you’re past your forties, managing your weight through physical activity helps. A study of over 100,000 women reported that those who got regular, strenuous exercise had a lower risk of developing breast cancer than others who didn’t. Exercise may help lower levels of hormones that are involved in breast cancer. Commit to regular exercise, if you haven’t already. The Women’s Intervention Nutrition Study (WINS), a major clinical trial of postmenopausal women with early-stage breast cancer, found that those who followed a low-fat diet significantly reduced their risk of cancer coming back. They also lost an average of 4.6 pounds after the first year of the trial, while those in the control group gained a half-pound. Because weight gain is linked with breast-cancer recurrence and lower survival rates, perhaps the key benefit of a lower-fat diet is the weight loss it encourages. Watching your fat intake can help prevent you from gaining weight and may thus be a cancer-fighting strategy. In countries like China and Japan where soyfoods are commonly eaten, breast-cancer rates are among the lowest in the world—and one analysis of 18 studies found that eating soyfoods, such as tofu and soy nuts, slightly lowered breast-cancer risk. But don’t be tempted to pop a soy supplement, warns Kolonel: the high doses of soy phytoestrogens found in supplements can behave like estrogen in the body, causing breast-cell changes that could potentially lead to cancer. Breast-cancer survivors and women at high risk for the disease should avoid soy supplements. 5. Boost vegetables and fruits? Research to assess whether fruits and vegetables can fight breast cancer has been disappointing, but “a diet that’s rich in fruits and vegetables tends to be lower in calories,” says Kolonel, “and that can help you maintain a [cancer-fighting] healthy weight.” Cheryl Rock, Ph.D., R.D., who coordinates the Women’s Healthy Eating and Living Study (WHEL) at the University of California, San Diego, found that women who ate at least five servings of vegetables and fruits a day (along with taking a brisk 30-minute daily walk) cut their risk of dying from breast cancer by half. “A healthy weight is what matters most,” she says, “but if women aren’t able to lose weight but eat plenty of fruits and vegetables and exercise, they can still lower their risk of cancer recurrence.” Eating more fruits and vegetables certainly couldn’t hurt and may help. These simple strategies could lower your cancer risk—and give you a healthier heart too. But I think the best benefit is knowing you’re doing everything in your power to stay healthy. 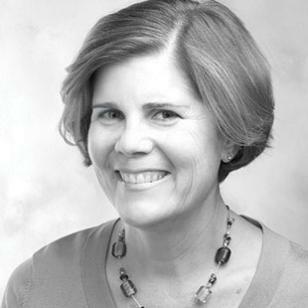 Rachel Johnson, EatingWell’s senior nutrition advisor, is dean of the University of Vermont College of Agriculture & Life Sciences. Does Eating Red Meat Increase a Woman’s Risk of Breast Cancer?